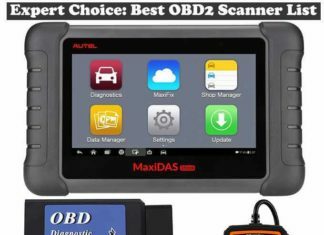 https://obd2scanners.org/ is a participant in the Amazon Services LLC Associates Program, an affiliate advertising program designed to provide a means for sites to earn advertising fees by advertising and linking to Amazon.com. The Amazon logo, Amazon, AmazonSupply, and the AmazonSupply logo are trademarks of Amazon.com, Inc. or its affiliates. The prices displayed on our Web Site may differ from prices that are available in stores or catalogs or affiliate websites, and our pricing may vary from store to store or our live price may not be accurate. If you are visiting this website from the U.S. or UK or Canada prices may be displayed accordingly in the U.S. Dollars, GBP and Canadian Dollars. But, we cannot confirm 100% accuracy. The prices displayed in our printed catalogs are quoted in U.S. Dollars and are valid and effective only in the U.S. We try to provide accurate price but we never give any kind guarantee about pricing accuracy. For full-price products, “Sugg. Price” or “Suggested Price” or “Popup Price” refers to the manufacturers suggested retail price. “Our Price” refers to the everyday value price we/our affiliate offer to our customers. For sale products (identified by pricing $ sign or dollar word), “Sugg. Price” or “Suggested Price” or “Popup Price” refers to the most recent selling price. “Sale” refers to the reduced price we are offering to our customers. If it is Amazon product then you have to go amazon.com to view current selling price and we do not give any special offer with amazon product. Occasionally we may offer special promotions to our customers that we refer to as “special offers”. This can include a gift with purchase, manufacturer offers, free shipping, or other promotional activity associated with a products purchase. These offers may be for a limited time only. https://obd2scanners.org/ Brands reserves the right to correct any inaccuracies, errors or omissions and to change or update information at any time without prior notice (including after you have submitted your order). This Affiliate Disclosure was last updated on: Tuesday, May 1st, 2018.